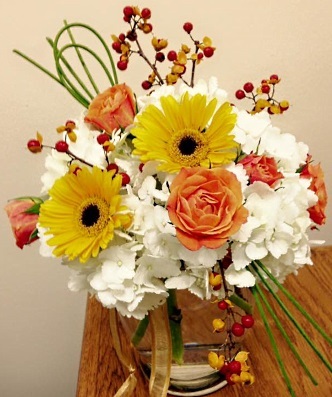 Everyday looks better with flowers from Amelia Rose Florals... Call us today! 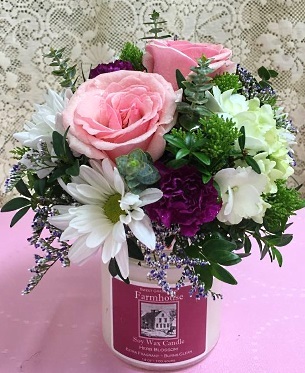 We're a local Merrimack, New Hampshire florist with a lovely variety of fresh flowers and creative gift ideas to suit any style or budget. 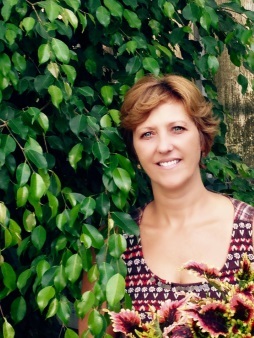 With over 25 years experience working as a florist in Southern New Hampshire, I knew when my former employers retired that it was my opportunity to fulfill my lifelong dream of owning a floral shop. 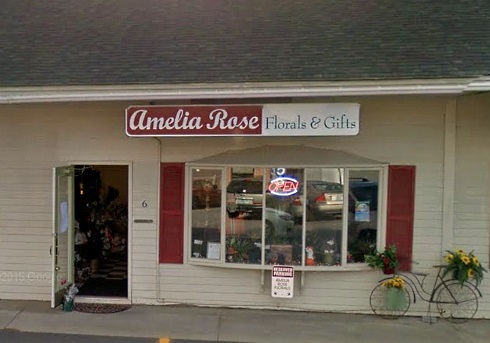 Amelia Rose Florals, named after my husband's grandmothers, is a family run florist. Our gift shop specializes in New England made gifts and vintage wares. We also pride ourselves on being eco-friendly; reduce, reuse, repurpose. We believe in friendly, personalized service and look forward to working with you. 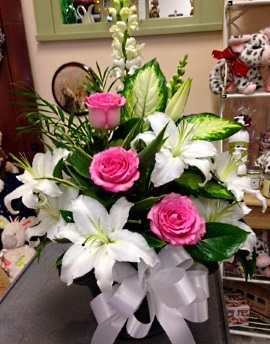 Feel free to give us a call to custom design a fresh arrangement for any occasion. We hope you enjoy your online shopping experience with secure 24-hour ordering right at your fingertips. If preferred, you may call us to place orders direct at 603-402-1020. Call in advance at 603-402-1020 and set up an appointment for a consultation. We will ensure your event is a beautiful and blooming success! Choose from our variety of healthy and attractive house plants, Succulent Gardens, Air Plants, Terrariums, Lucky Bamboo, African Violets, Green Plants, Blooming Plants, Dish Gardens, Fruit Baskets, Gourmet Baskets, Gift Baskets, Gifts, Greeting Cards, Home Decor, Satchels, Scented Candles, Candle Arrangements, Silk Flowers, Hand Crafted Dolls, Granite State Candy Shoppe Chocolates, Douglas Sshlumpies, Plumpies & Pudgies, Plush Stuffed Animals, Wooden toys, Puzzles, Vintage Gifts & other children and baby gift items and more. 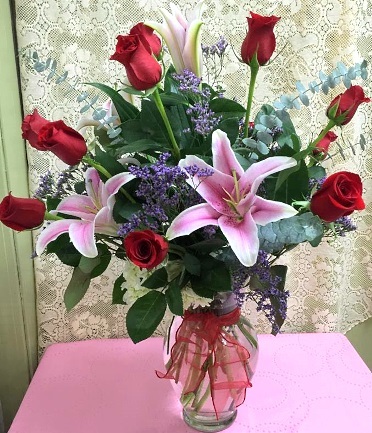 Thank you for visiting our website with flowers delivered fresh from your local Merrimack, NH flower shop and convenient online ordering 24 hours a day!